Note: Page stats are for the full trail from ranger station. 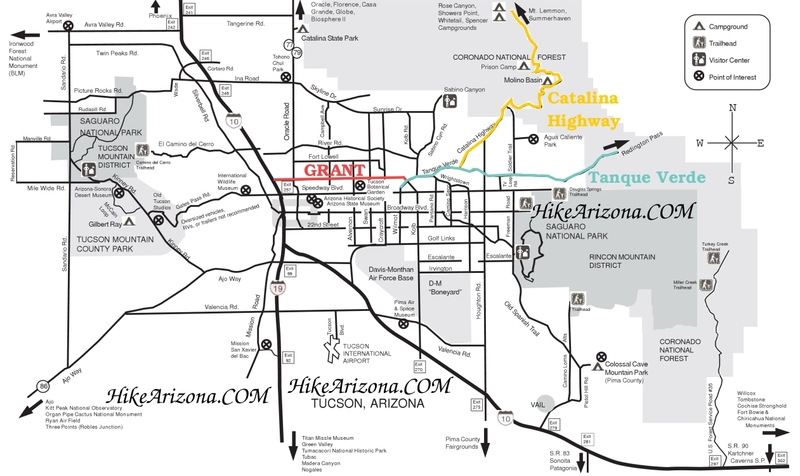 Connects the Devil's Bathtub trail near Manning Camp with the Grass Shack Campground in Saguaro National Park's Rincon district and on to the Madrona Ranger Station (not accessible by private vehicle). 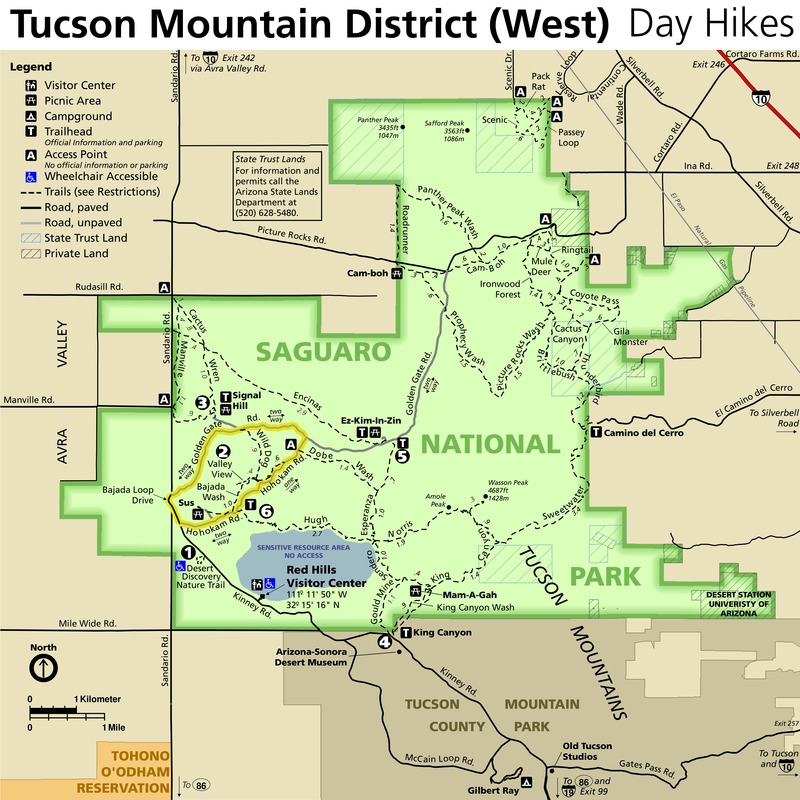 However, this trail will eventually become a part of the Arizona Trail, since it is the shortest route from Madrona ranger station to Manning Camp. 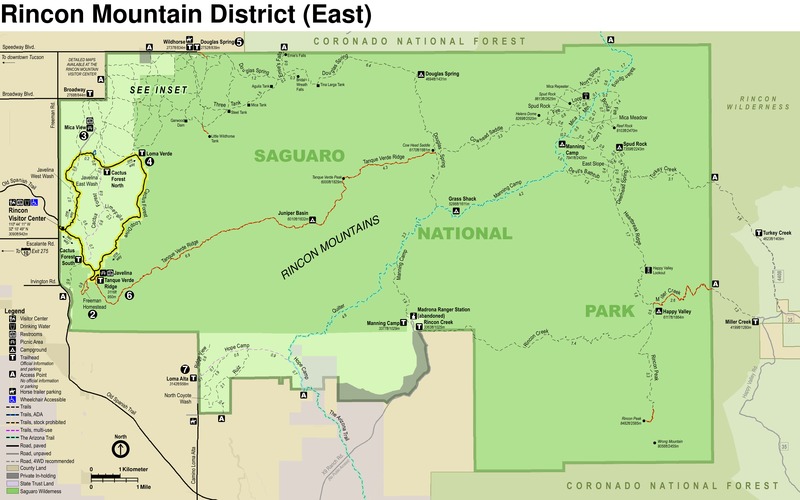 It is not, however, the shortest route from Manning Camp to either the Tanque Verde Ridge or Douglas Springs TH (as the author discovered the hard way). The trail description is for the route as it heads down the hill from Manning Camp. It passes along the southern side of a large canyon below Manning Camp - eventually descending to the bottom of the canyon where the Grass Shack Campground is found. When we visited, this campground showed no signs of recent use, was completely overtaken by vegetation and felt a little eerie... However, water and facilities were present. The trail those choosing to head out to Tanque Verde Ridge or Douglas Springs trails will have to climb back up to Cow Head Saddle here - an extra 800' ascent after all that lovely lost elevation. 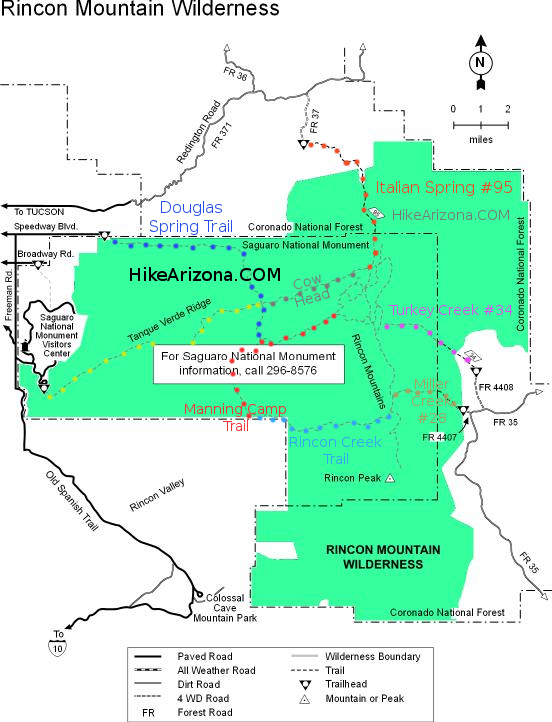 Those continuing to Madrona Ranger station (along the route of the AZ Trail) will keep heading roughly downhill through the foothills. Access to the ranger station by car is blocked by a number of crossings of private land, so the closest trailhead to Madrona is the trailhead at the end of Camino Loma Alta, which takes hikers out to Hope Camp. 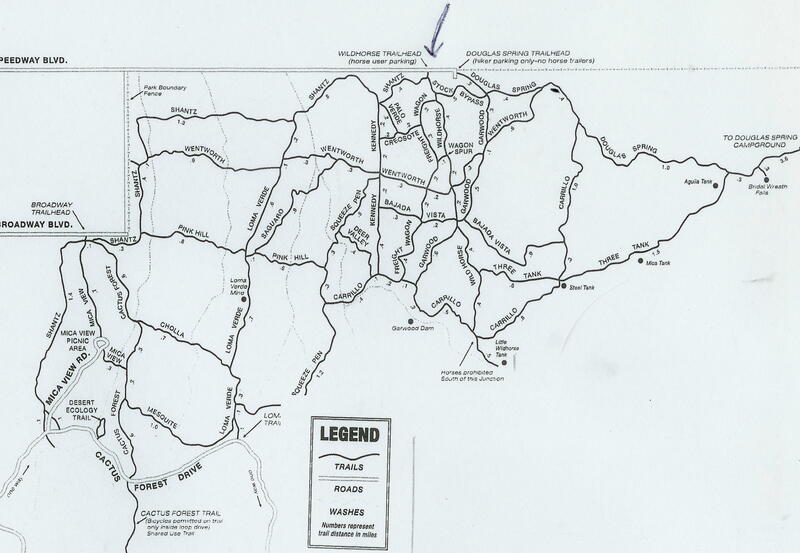 From Hope Camp, it is possible to link together a number of informal routes to reach Madrona.